Is Cranberry Juice Good for Your Kidneys? Cranberry juice is full of health-promoting nutrients. In addition to playing a role in cancer prevention and heart health, cranberry juice is particularly beneficial for keeping your kidneys healthy. Not only does cranberry juice help to treat and prevent urinary tract infections via its antibacterial properties, but it also helps prevent the formation of painful kidney stones. Urinary Tract Infections (UTIs) are common among women. In fact, one in four women will suffer from at least one UTI over her lifetime according to a 2004 report published by the Cochrane Database Systems Review (Edinburgh, UK). Cranberry juice is very effective at preventing UTIs. 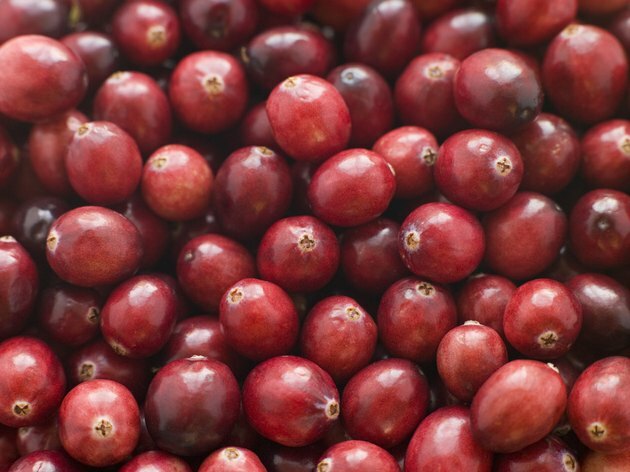 Cranberries contain antibacterial compounds known as tannins. Tannins prevent bacteria from sticking to the walls of the bladder and the kidneys. For an infection to grow and thrive, infectious microbes must be able to latch on to the walls of the organs. This sets the stage for infection. Through its antibacterial properties, the beneficial compounds in cranberry juice flush bacteria out with the urine. Cranberries contain quinic acid, an acidic compound that is not broken down in the body but excreted (unchanged, not broken down) in the urine. Quinic acid increases the acidity of the urine slightly. Even though it only causes a slight increase in urine acidity, this is sufficient to prevent the formation of insoluble stones (made when calcium and phosphate ions join). In people who have suffered from recurrent kidney stones, cranberry juice may decrease the amount of ionized calcium (in the urine) by more than 50 percent. This is very important in prevention because approximately 75 percent of kidney stones are made up of calcium salts, according to D.R. Guay, author of "Cranberry and Urinary Tract Infections" published in "Drugs" in 2009. Pure cranberry juice is extremely tart. Many commercial cranberry drinks dilute the amount of actual cranberry juice and replace it with sweeter juices, such as apple or grape. While a cranberry juice cocktail must offer 25 percent cranberry juice, other juices that feature cranberries on the label are made of juice, but only contain a small amount of cranberry juice. Consider making your own juice cocktail. Mix pure cranberry juice with orange or grapefruit juice. Or blend it with strawberries and crushed ice. Another idea is to combine unsweetened cranberry juice in equal parts with your favorite fruit juice and sparkling mineral water for an enjoyable spritzer. At least 8-ozs. of slightly diluted cranberry juice is enough to offer substantial health benefits. Does Cranberry Juice Prevent Kidney Stones?